With the help of business managers, audit consultants, and users, we set out with the goal of developing a complete accounting software system that was easy to manage and still met all government reporting requirements. 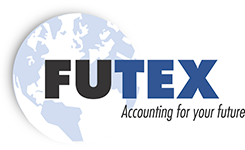 The result is FuTex Complete Fund Accounting, a powerful system that is sure to meet all your accounting needs. A fully integrated accounting system, our program is fully compatible with Windows-based operating systems. It supports operations on mainframe platforms and features user-friendly drop-down menus. We boast a wide client base, from schools and nonprofit agencies ranging from 50 to 2,000 employees. We are proud to provide full conversion, implementation, and training services, as well as on-going support. We also provide audit support and train our customer's staffing pre-audit training. Call today to learn more. Mission Statement: We provide our clients with the most functional state-of-the-art fund accounting system possible.